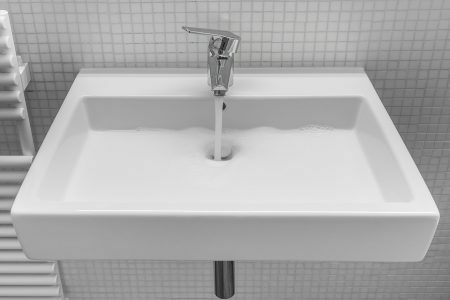 Last week, we covered some very important considerations you must make when it comes to selecting the right hot water system for your home or apartment. Now that you’re caught up, we hope you’ve gained a general understanding of some of the different hot water system features available across the market. But there’s still more to consider: so, read on for even more practical information that will help you make a smarter decision when it comes to choosing a hot water system. While electric heaters are the most popular type of heater in Australia, the truth is they’re actually on the way out. This is because contrary to popular belief, electric systems – especially older and outdated ones – can actually be less efficient than their gas counterparts. Federal and state governments have actually committed to a complete phase-out of electric water heaters. While your existing electrical heater might be grandfathered in, any new heaters will have to use alternative sources of energy. With electricity out of the equation, the most feasible option for homeowners for their hot water needs is gas. Compared to electrical systems, gas water heaters can be a much cheaper option. Another thing to note is that in most of the country, there’s no time-of-day tariffs on gas usage. No matter the time, you pay the same price for gas. When choosing gas however, it’s important to consider whether your house has the appropriate gas fittings. Sure, almost every house in Australia has gas connections… but is it enough to handle a gas-powered water heater? Your trusted local plumber can help answer that. 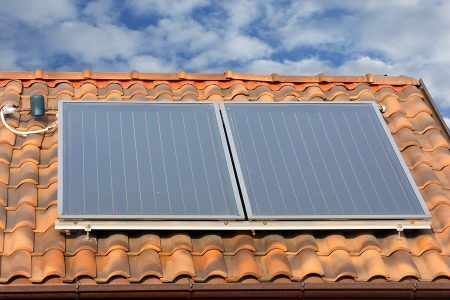 Solar: should you believe the hype? Speaking of CO2 emissions, did you know that water heating is the largest source of greenhouse gases in the typical Aussie home? While gas water heaters are cleaner than electrical systems, they still emit. Fortunately for environmentally-conscious homeowners, we live in one of the sunniest countries on the planet. Why not take advantage of that and choose solar for all your hot water needs? While the upfront costs of solar are the highest of the lot, global prices of solar panels are almost in freefall, dropping 37% last year alone. Installation costs will vary depending on the scope and complexity of the job – for an accurate quote, it’s best to go over your plan with your local plumber. Most people will tell you that tankless systems are the easiest systems to install. While they’re not wrong, they’re not completely correct either. For example, have you thought about whether your home can handle a new system? If you decide to switch from electricity to gas, you’ll need to make sure your home’s gas system has enough extra capacity to handle the added load. And then there’s the matter of space. If you settle on a tank water heater, you’ll need enough room to fit the tank, while homeowners with solar water heaters must consider whether their roofs can support the added weight of solar panels. H2> … and make sure it stands the test of time! With proper maintenance, inspection, and care, most hot water systems should last for years before replacement becomes necessary. Naturally, you’ll want a water heater that stands the test of time! And of course, you can’t forget the importance of regular inspections and maintenance for your hot water system. Call Watermaster Plumbing for all your hot water system needs! We’ve said it before, and we’ll say it again: choosing the right hot water system takes a little bit of work. If you want to avoid landing yourself in hot water (pun intended), it pays to get in touch with a professional plumber. Whether you need help choosing a hot water system, planning an installation, or simply need an expert’s insight, get in touch with Watermaster Plumbing. Our team of plumbing pros offer a range of hot water services to homeowners all over Melbourne’s Bayside and southeast regions, and should your current system fail on you unexpectedly, we’re also proud to offer a speedy 24 hour emergency service. Your hot water is in good hands with Watermaster Plumbing – give us a call on 1300 156 650 or reach us here for a chat.